Description : With MXPLAY, you find music while you browse the web. 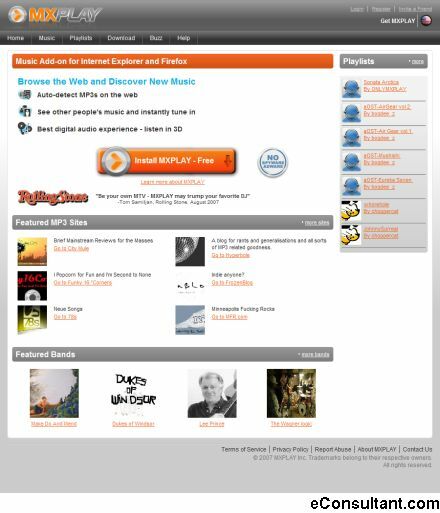 Or explore the MXPLAY website to find cool bands, music blogs, and content created or discovered by other users. You can create mashups with videos from YouTube, save songs from a music blog to an online playlist, or post your playlists and mashups on your social network page.